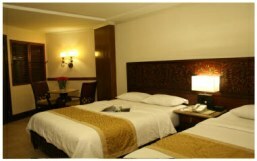 Stay in Boracay Regency for only Php 97.78/day! 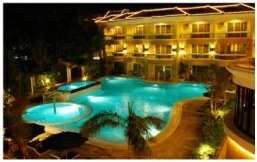 Stay in Boracay Regency for only Php97.78/day! This special offer is available on 0% installment basis for 6 months exclusively via Boracay Island Guide! Participating credit cards include: HSBC, Metrobank, AIG, EastWest Bank, Diners Club, BDO, Security Bank, Union Bank, and Allied Bank. With the Regency’s wide beach front and wi-fi high speed internet range, you can access your Facebook or Twitter up to the beach front or by the swimming pool and make your friends in the metro envious of your Boracay vacation through your iPhones and laptops. Stay connected to your friends while you lay your back on the cotton-like sand of Boracay while sipping a refreshing drink made especially for you by friendly bartenders. Get all the entertainment, relaxing massage and delectable meals and drinks all under one roof. Enjoy the elegance and comfort of Regency’s beautifully designed rooms while getting a kick of the breathtaking view of the shimmering reflection of the sea. Dine in restaurants that are sure to satisfy your taste buds. Have a soft spot for swimming while diving in their magnificently-designed swimming pools. There are just few of the things that you will definitely love at Regency while having a state of peace and luxury. Found a lower Boracay package? Email us the link at hotdealsonlineph@gmail.com and we'll match the price - GUARANTEED! 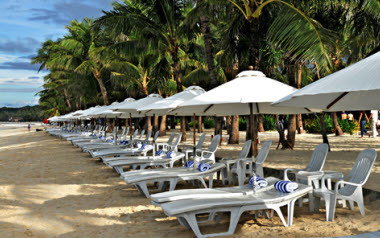 Click here to return from Boracay Regency Packages to Boracay Packages.